Leading powder and liquid coating supplier, Axalta, has opened its new headquarter in Gurugram, India. The 35,000sq.ft facility will also house the company's global business resource centre. The headquarters follow the company's new plant which was inaugurated in 2015. 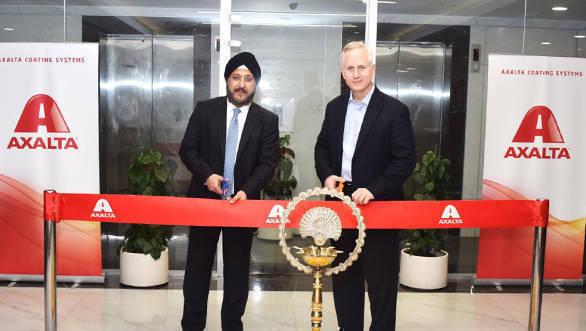 "We are very excited to see another significant investment support our future growth in India," said Robert Bryant, executive vice president and chief financial officer of Axalta Coating Systems, who officially opened the facility. 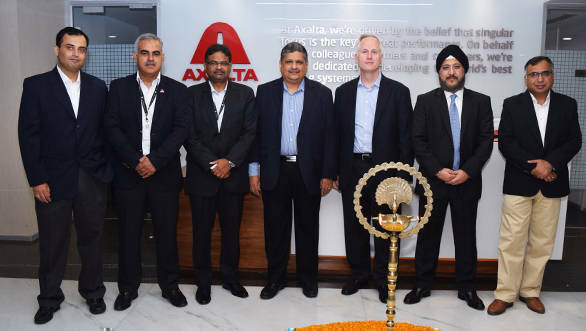 "The new face of Axalta in India has been designed with Axalta's global standards in mind and enables our company to showcase its commitment to both long-term growth and customer support in the market." Axalta's business in India serves customers in the transportation OEM, refinish and industrial sectors of the economy. According to the World Bank, India's economy overall is projected to grow by 7.2 percent in the current fiscal year, up from 6.8 percent in 2016. The auto industry has started to show strong growth with a CAGR of approximately 7 percent over the next five years. In line with original equipment sales, the local car parc is also expected to grow and lead to increased demand for Axalta's refinish products with leading brands such as Cromax®, Standox®, Duxone®, Lucite®, and Nason®. Sales of Axalta's industrial coating products such as AquaEC and Voltatex® are poised to take advantage of infrastructure expansion. Axalta established its India business in 1996, and today operates a manufacturing plant in Vadodara within the state of Gujarat along with offices & regional training centers in Gurugram, Mumbai, Kolkata, Bengaluru and Vadodara, and supports an extensive product distribution network across the country.